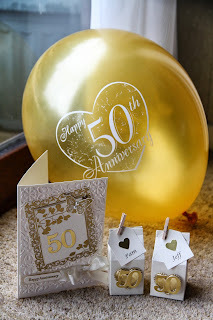 On 14th September 2013, my Parents celebrated their 50th Golden Wedding Anniversary, and as my Mom has a Twin Sister who also married on the same day, there was a BIG celebration held for the whole of the Family. 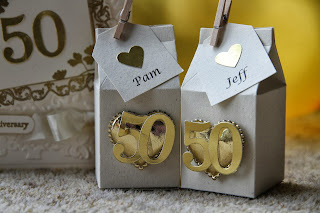 These were made using the Mini Milk Carton Die and the Naturals Ivory Cardstock. We added a little tag, which had a computer generated name on them, and a little Gold Punched Heart using the Gold Foil Sheets from the Seasonal Catalogue. With a couple of bits and pieces from my crafty stash, this is what we came up with. 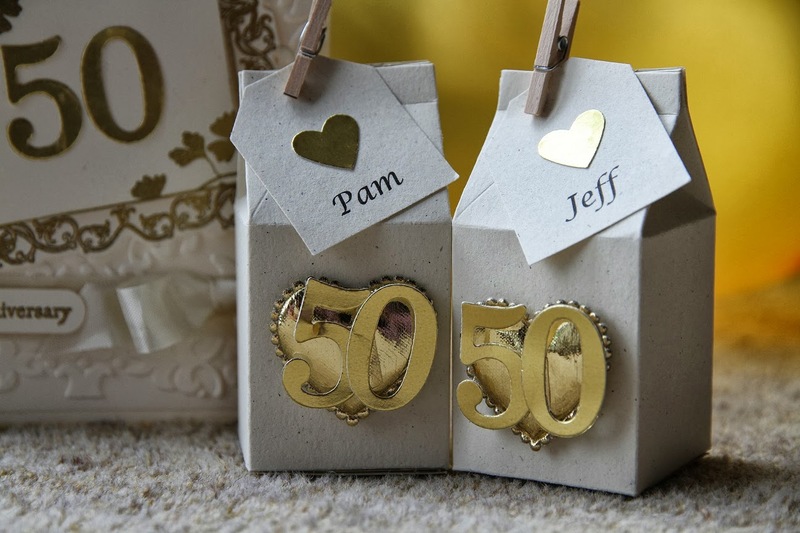 Each Milk Carton held 2 little rolls of Love Hearts. 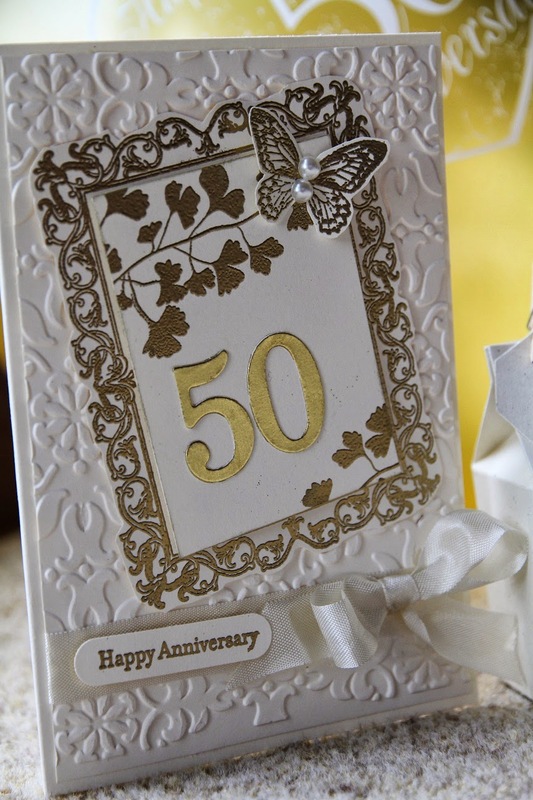 I also made a card using again the Naturals Ivory, as then everything matched perfectly. The images came from the Papaya Collage Stamp Set, and was then heat embossed with the Gold Embossing powder. 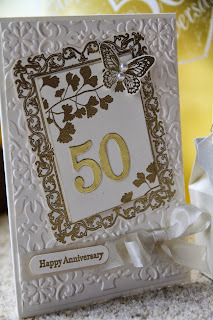 I did case this card from a card I found on Pinterest, but unfortunately I cant find the tag to link back to it - I will keep searching and update this post when I find it!! All in all it was a fantastic day and my Mom and Dad had a fantastic time! Oh my god! That would have been an amazingly big celebration. I wonder how the event space would have been decorated. The balloons and the gifts look really pretty. Please upload more pictures of this event. I so want to see the twin sisters together.